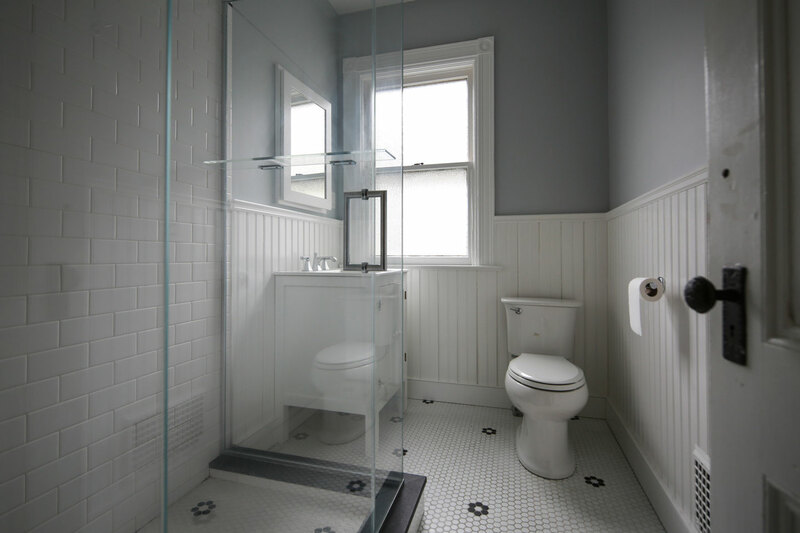 This is a bathroom remodel in a beautiful Victorian home in Hudson. 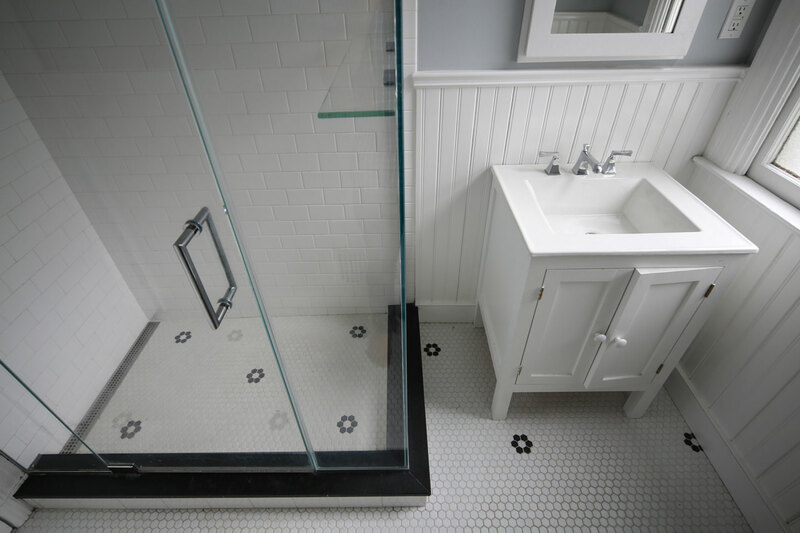 Almost everything in the home was original, and our goal was to build a bathroom that blended in seamlessly. 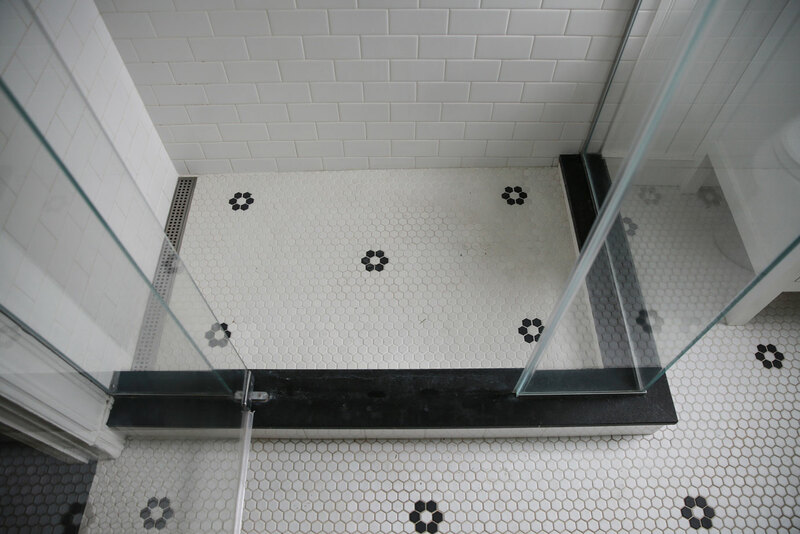 The client had stripped the original bathroom moldings themselves and saved them for us to incorporate in the remodel. 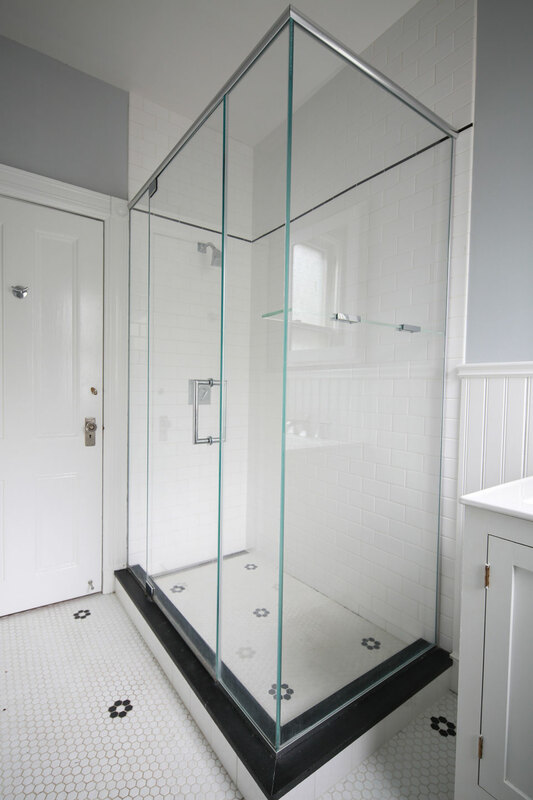 To ensure optimal space and light in this small bathroom, we decided to use a glass shower with custom floating glass shelf, the only major departure we took from typical Victorian era design.